Midland, as well as many other Municipalities, are in the final stages of their Official Plan Review (OPR). Official Plans have become notoriously complex and are being used by Governments to take control of the 13% of Ontario not already owned by the Province. However, the motivation for, and the UN’s Agenda 21 are subject for another day. Many people are unfamiliar with Official Plans (OP’s) and the impact they have on private property. OP’s apply land zonings and designations to properties which then determine what type of regulations / restrictions will be enforced on private land-use conditions. Many municipalities are preparing to adopt their first ever Natural Heritage System (NHS) designation. The NHS is a “Trojan Horse” posing a major threat to private property owners’ rights limiting landowners to merely caretakers of their own property. After reading the 245-page Natural Heritage Reference Manual and the Provincial Policy Statement I was of the following opinion. The policies are comprehensive and riddled with exceptions biased toward planning authorities and government agencies. Landowners stand little chance of a successful challenge once designated. Development (i.e. lot creation, building, change of land use,) and site alteration (i.e. grading, excavating, filling) shall not be permitted in NHS designated areas as well as in areas adjacent to an NHS. Areas attracting NHS designations include wetlands, woodlands, waterfront, valleylands, wildlife and fish habitat, natural and scientific interest. The insidious NHS is extremely complex encompassing many government regulations, policies and agencies. Agencies that have mutated beyond their original mandate for existence. There are many cases where overzealous bureaucrats have unfairly prosecuted innocent landowners. Planning authorities, in their desperation to win provincial approval of Official Plans, are overly aggressive in applying the NHS designation. 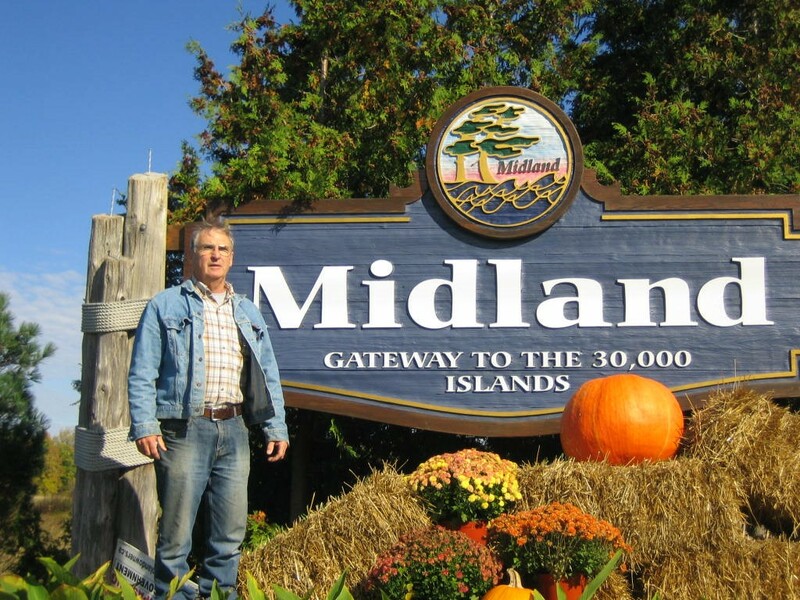 Midland has taken an excessive “shotgun” approach to the NHS resulting in approximately 4,000 acres of mostly private property being designated as NHS. They failed to evaluate areas in accordance with MNR’s Natural Heritage Reference Manual. If satellite photos show trees on your property, chances are your property, or the adjacent property has been designated. Municipalities have not adequately educated, consulted, or informed their property owners. Municipalities use the absence of attendance by the public who had no knowledge of the meetings or of what an official plan is, to be considered as “implied consent” granting approval to proceed with the Official Plan, thereby bringing in regulated enforcement in controlling the land use conditions without the written consent of the property owner. Landowner appeals are generally limited to landowners who have made prior representation, and, act within a very short time period (21 days). However, access to the judicial system is cost and time prohibited for most of us. Landowners need to be proactive now. Municipal Councils through Official Plans have been placed in jeopardy of conflict with Rights of Property Owners and the superior legislation provided by Crown Land Patents. Crown land was transferred to private ownership starting in approximately the 1820’s for this area. Crown Land Patents are attached to the land and are transferred to all heirs and assigns forever. With few reservations the Crown transferred property to private ownership for the owner’s use and enjoyment as long as the owners do not negatively affect their neighbours. Crown Land Patents are issued by the Monarchy and supersede any Legislative Authority. A wealth of information, including how to obtain your Crown Land Patent, is available at www.OntarioLandowners.ca , a non-profit advocate for private property landowners. Landowners can find out if your property, or abutting properties are targeted for the NHS designation by calling / visiting your Town’s Planning Department. Watch for and plan to attend public meetings. A mandatory public presentation of Midland’s OP is to be scheduled for some time in March 2018. Call your Councillor. Remember, public participation/ involvement was this Council’s election platform. Landowners can go on public record now with your written objection by addressing your letter / email to The Mayor and Council.